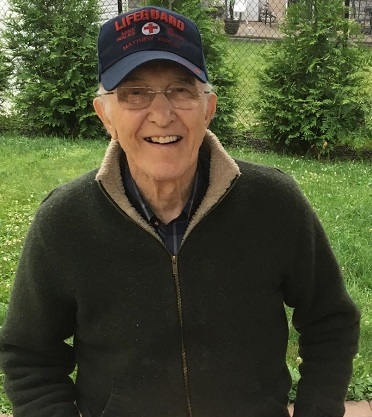 Obituary for Emil Healy | Somerville Funeral Home, Inc.
Emil Healy 84, died peacefully on Wednesday, April 10, 2019 surrounded by his loving family. He was born on June 22, 1934 to his late parents Anna and Peter Healy in Utica, NY and raised in Newark, NJ. Emil was a graduate of Central High School Class of 1952 in Newark, NJ. In 1956 Emil graduated from Bob Jones University in South Carolina and in 1961 completed his Master of Divinity Degree in Elkins Park, Pa. He was a full time Pastor in Baltimore, MD until March of 1963 before moving back to NJ where he was a teacher of Industrial Arts in Bayonne, Elizabeth Port and from 1973 in Old Bridge, NJ. He also administered the high school co-op program in Old Bridge, NJ before retiring in 2001. Emil volunteered and made a career helping students of all ages. He was a church volunteer leader for high school and college youth ministry and a weekly guest preacher in both New York and New Jersey. Emil was a director and life guard who taught swimming at the Clifton and Westfield YMCA. He was an avid sports fan who played on the Little League baseball team, “Pygmees”, was a semi-professional baseball pitcher who admired Mickey Mantle and an avid New York Yankees fan. Emil enjoyed woodworking, especially spending his spare time in his workshop making clocks. He will be sadly missed by family and friends. Emil is survived by his beloved wife of 60 years Margaret, his loving children Dwight Healy (Kim) and Karen Mulderrig (Bud), cherished granddaughter Alyson Healy, and 2 brothers John Healy and Daniel “Dan” Healy. Visitation will be Monday, April 15, 2019 between 2:00pm to 4:00pm and 7:00pm to 9:00pm at the Funeral Home. Religious service 10:00 am on Tuesday, April 16, 2019 at Liberty Corner Bible Church 3575 Valley Road, Liberty Corner, NJ. Burial at Hollywood Memorial Park, Union, NJ.